I’ll hold my hands up, I’m not a huge fan of modern scooters, I’m much more of a vintage kinda guy. There are, however some exceptions. 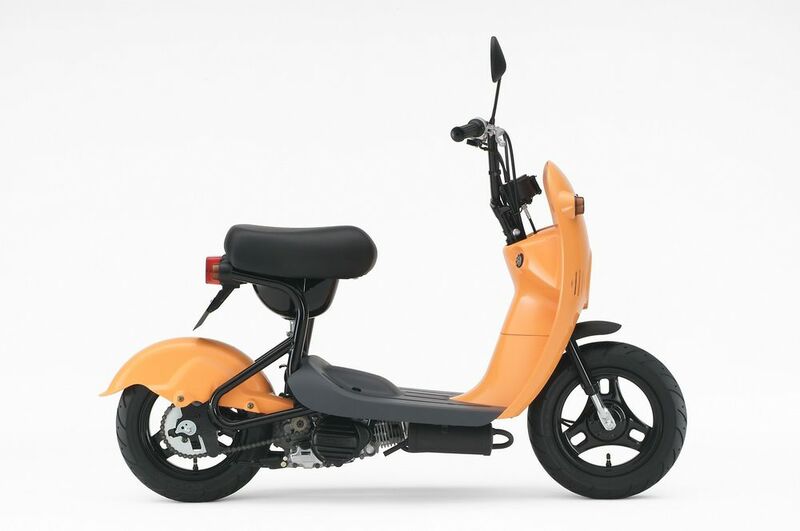 I really like the Honda Zoomer/Ruckus and also the Yamaha C3, which style aesthetic to the standard, twist and go scoot. I’ll post a bit about each of these when I’ve found out a bit more. 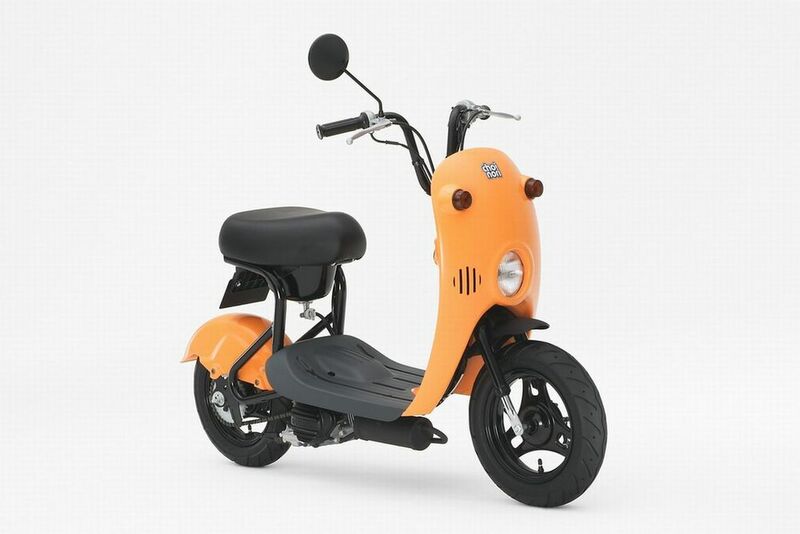 Taking a similar approach, and pushing minimalism to the next level, is this cute little scoot from Suzuki. 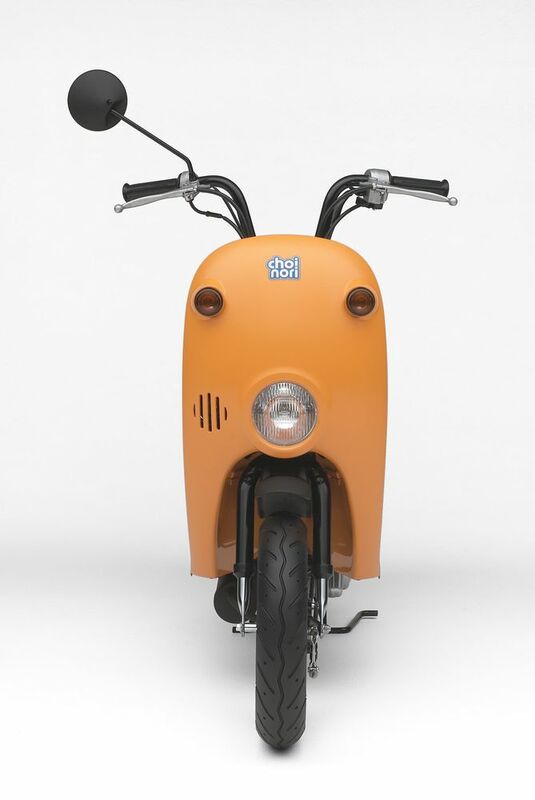 Built from 2003 to 2007, the Choinori was only available in Japan… where they built ten million of the little 49cc scoots. One of the reason they were so popular, was they were extremely inexpensive – something they achieved by innovations like a linerless bore engine, and even the lack of any rear suspension. Although these ‘features’ (or lack of them) are celebrated as a landmark of Japanese automotive history… anyone that knows their Lambretta history will immediately think of the model A – especially the version without the plastic (sorry, resin) legshields (last pic). The Choinori (which means “short hop” or “little journey” in Japanese) was discontinued in 2007, when the engine couldn’t meet new emission standards. To me, this looks like an incredible opportunity for Suzuki to steal a march on the rest of the scooter industry, and use the Choinori as a platform for an electric scoot… it’s light weight and simplicity of construction are all plusses here. You wouldn’t want to do too many miles on it anyway… the bum-numbing lack of rear suspension would limit it to the role of a city bike/micro commuter, for all except the most committed enthusiasts/mascochists. This entry was posted in Uncategorized and tagged Automatic, Choinori, cool, Japanese, oddball, scooter, Twist and Go by crocodilejock. Bookmark the permalink.